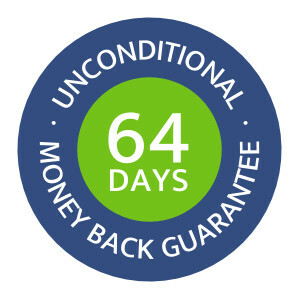 All spent or received money (or money equivalent) is categorized into types. These categories are represented by accounts. The categorization is hierarchical; thus, all the accounts are part of a hierarchical list. This hierarchical list of accounts is called “Chart of Accounts”. Chart of Accounts helps you to organize your finances, to segregate expenditures, revenue, assets, and liabilities. 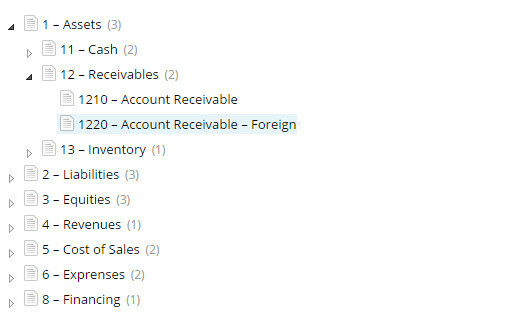 Filogy contains a predefined Chart of Accounts, which can be modified if you want your own categorization. This categorization is used for creating financial reports. 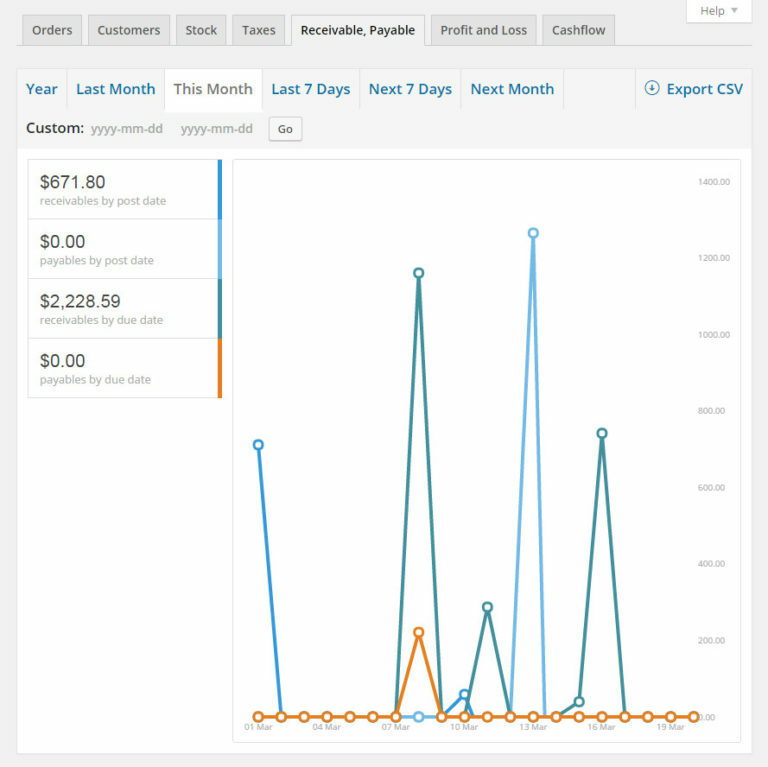 The balance sheet is a summary of the financial balances of your web store. Assets, Liabilities and Owner's Equities are listed at a specific point in time. 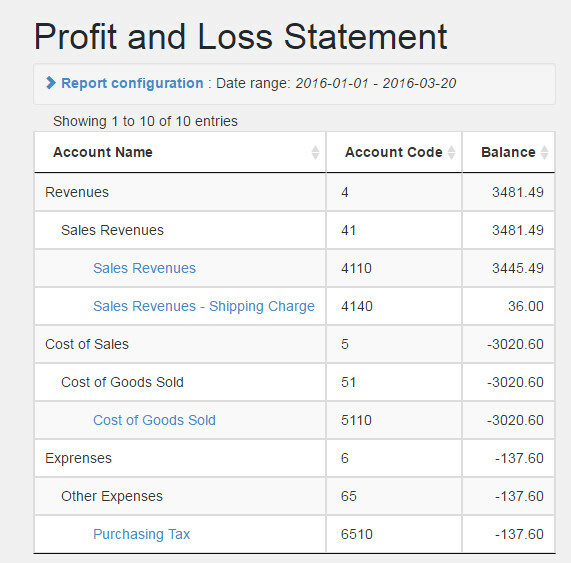 Profit and Loss Statement shows the revenues, costs of sales and expenses of your web store during a time range you wish. List all transaction entries of a specific account to get a list of similar events. 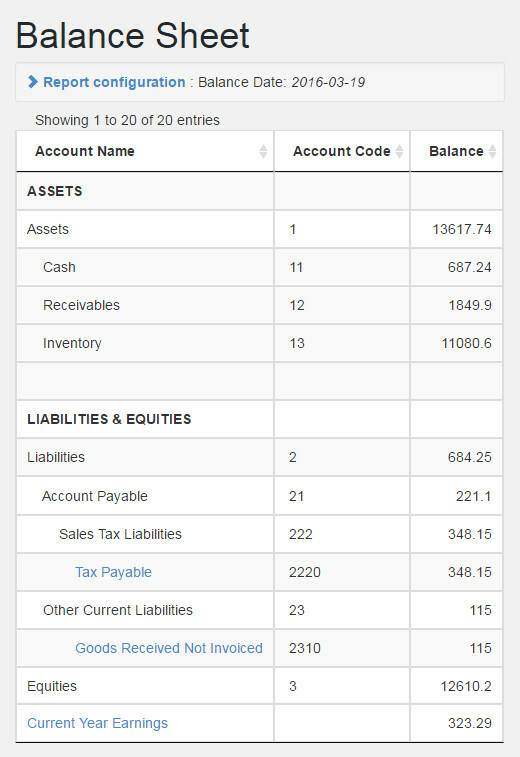 For example, you can list your "Cash" account in a given date range to get all incoming and outgoing cash, or list your "Inventory" account to see all inventory transaction values in a single list. This report will be shown if you click on a number in a summarized list, and drill down to the subsequent components of the selected summary value. 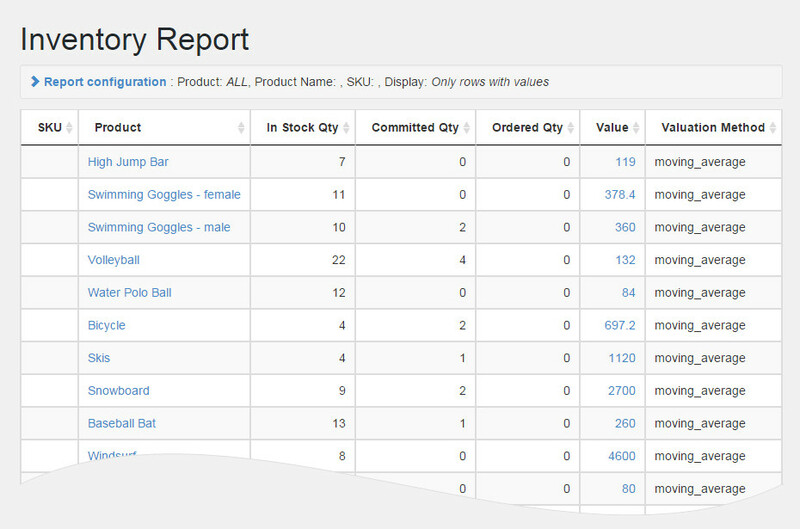 Inventory Report is a list of items belonging to your webstore. It provides information about In Stock Qty (stock in hand), Committed Qty (ordered by a customer but not delivered), Ordered Qty (ordered by you but not received), and Value of in-stock qty. Inventory Audit Report contains information about inventory transactions, increase or decrease of stock values. Inventory Report can be used with Filogy Finance Professional and Premium. 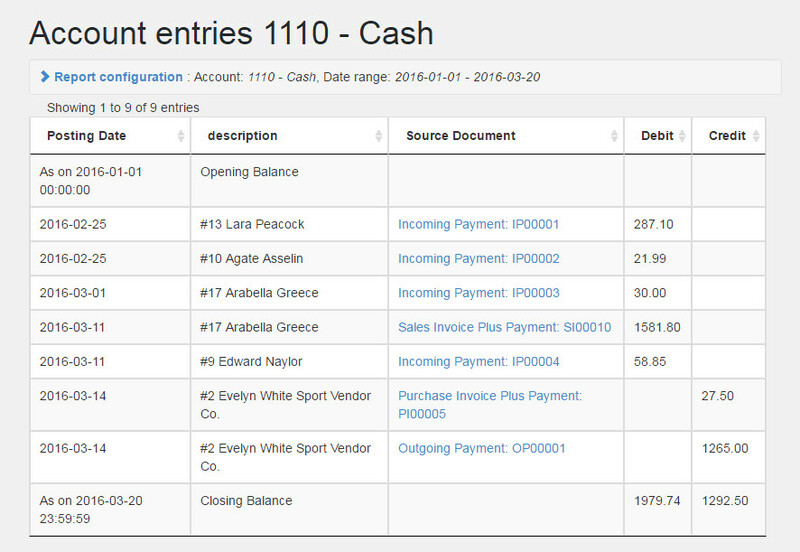 Click on a summary number to drill down into subsequent transactions. Click on any number of Filogy dashboard widget and get a detailed report about all the item that is summarized by the selected number. 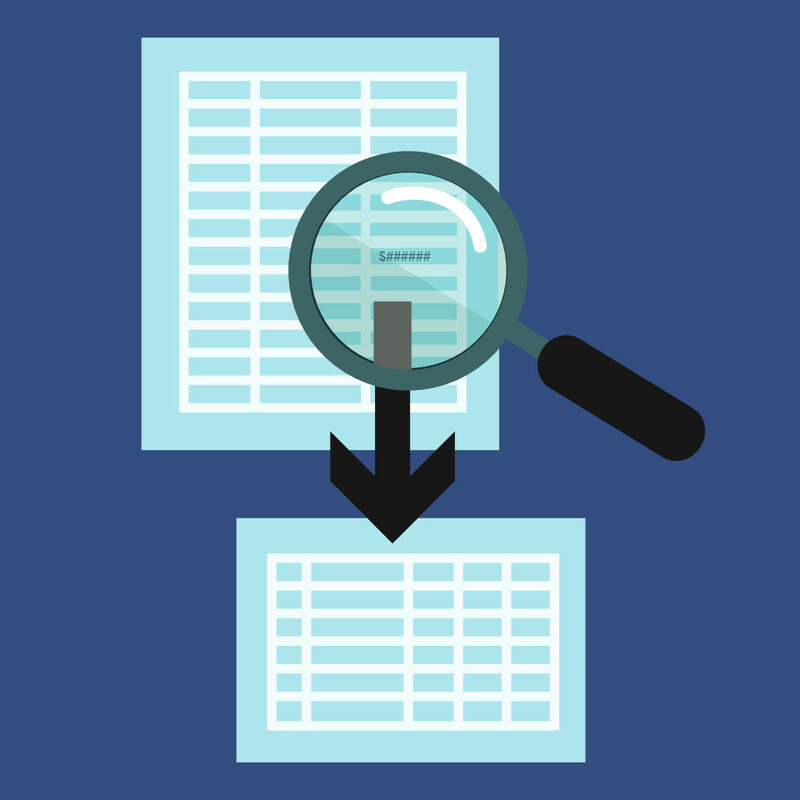 Read the detailed Documentation of Filogy Reports to get more information.